1985 – The Dunk, designed by Peter Moore, dropped in the same year as the Air Jordan 1. 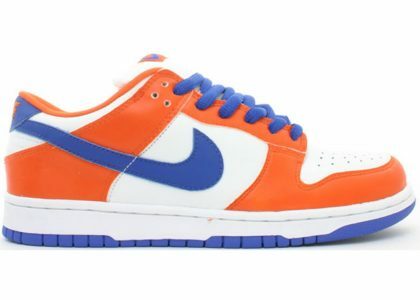 It first appeared as a college basketball sneaker and came in various colorways to rep the different teams. Despite being a basketball sneaker, it fell into the arms (and soles) of skateboarders, who loved the cushioning and some of its performance features. 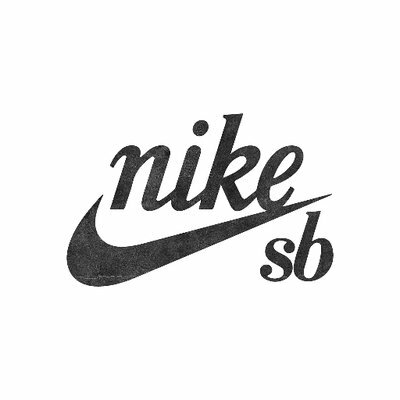 When Sandy Bodecker was appointed the general manager of Nike SB in 2001, he was able to convince Nike to re-engineer the Dunks into the Nike SB Dunks, giving skateboarders a better version of what they were already wearing. 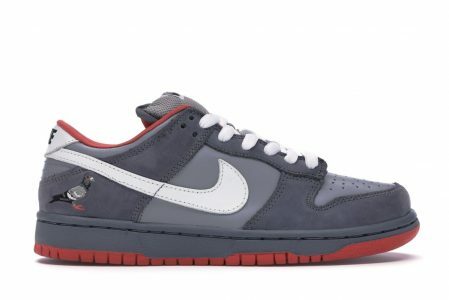 In 2002, Nike decided to update the silhouette exclusively for Nike SB. In order to become suitable for Nike SB, the Dunk had to undergo some crucial design changes. To do so, Nike appointed four skaters, Danny Supa, Gino Iannucci, Reese Forbes, and Richard Mulder, who played a big role in the development of the Dunks. This resulted in added padding into the insole and the improvement of the sole to offer more traction, and the infamous “fat tongue” of the SB Dunk Low Pro. 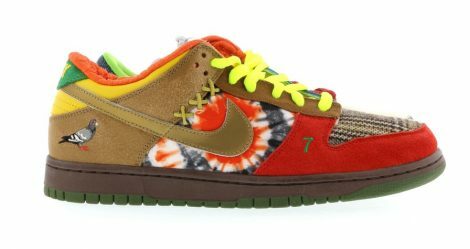 The first colorway to release following the adoption of the Dunks to Nike SB was the Danny Supa, which released in March 2002. 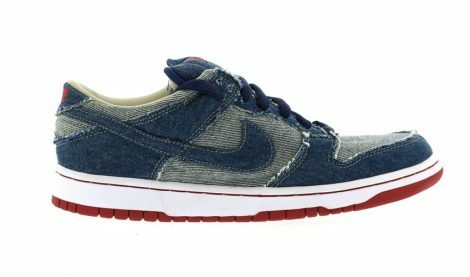 2002 saw another very popular release with the Reese Forbes Denim, which is now the most profitable SB Dunk Low on the resale market due to its very low retail price). Even new sneakerheads know all about the Staple Pigeon Dunk. 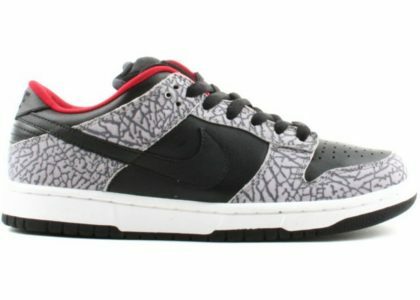 This crazy pair, which each shoe looking completely different, brings details from 31 varying SB Dunks. Skate cult brand, Supreme, collaborated with Nike SB to bring us this cement colorway. 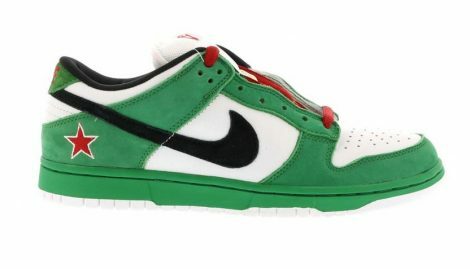 Inspired by the Heineken beer, this release is a classic from the early days of SB Dunks. 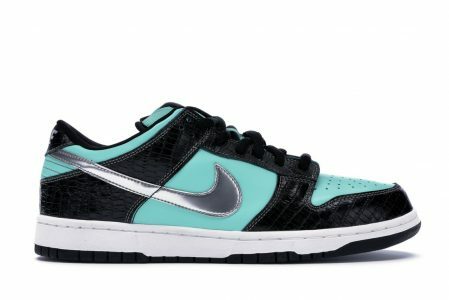 The Diamond Dunk is a well-known colorway. Not long ago, sneakerheads collectively fawned over the Canary Diamond dunks which were designed by the same retailer. Are Nike SB Dunk Lows True to Size? The Nike SB Dunk Lows are loved for their performance, comfort, and stylish colorways. If you’re planning to buy one but wondering whether or not the Lows run big or small, we’d have to say they fit a bit snug. It wouldn’t hurt to go half a size up. In fact, many resellers will say that their size 10 US fits like a 9.5 US. So again, going a 0.5 size up wouldn’t hurt. You can also just try on some Nike SB Dunk Lows, Mids, and Highs at your local skate shop. Many skateboard shops may hold pairs of the SB Dunk in-store. The Nike Dunk is another sneaker that crossed from the hardwood to the concrete. Today, it’s an example of both performance and street style. You can dress it up or down to your liking, wear it to work, after work, and for play. Don’t hesitate to take it half a size up and if it doesn’t fit you can just flip it, especially if it’s valuable.